Victorian Harley Quinn Cosplay « Adafruit Industries – Makers, hackers, artists, designers and engineers! How many ways are there to cosplay Harley Quinn? Like with any character, there are an endless number of options. We’ve featured a few Harleys on our website, and we’re adding Redditor sleia’s creation to the list. 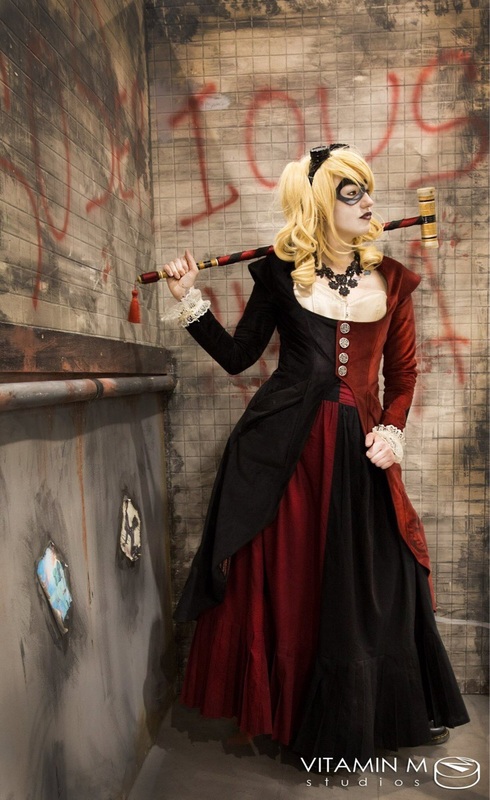 She crafted a beautifully detailed Victorian take on Harley Quinn. Her Harley wields a delicate croquet mallet instead of a giant hammer, and the costume features a skirt and overcoat — both embroidered with the diamond pattern that is part of Harley’s look.